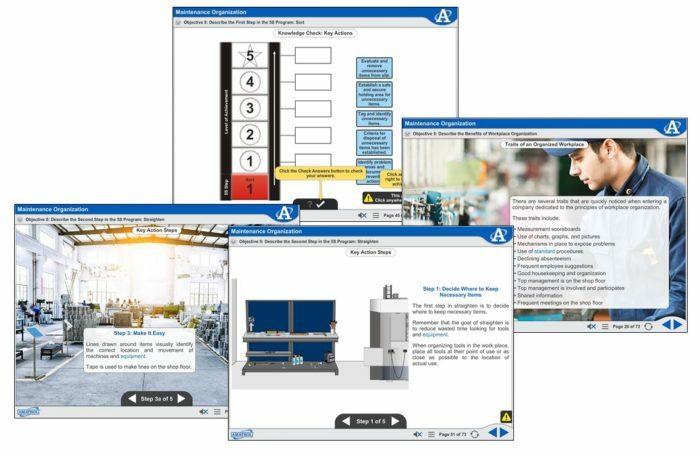 Amatrol’s Lean Overview and Workplace Organization (MXLM100) Lean Manufacturing online training course is an introduction to the 5S (Sort, Straighten, Shine, Standardize, Sustain) principles and how they fit into the workplace. 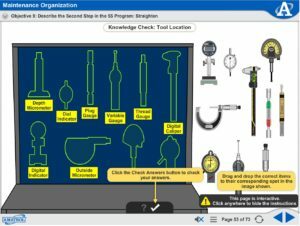 This course grounds learners in pertinent lean manufacturing background and why workplace organization is so critical. Learners gain an understanding of each component of 5S – what each area means, why it is critical, what the requirements are to implement it, the commitment needed to keep it alive, and how it is executed in the workplace. 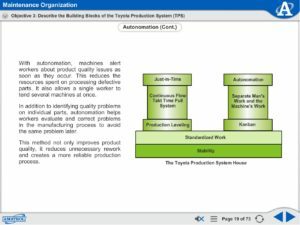 Learners will study essential elements and building blocks of the Toyota Production System (TPS), and the similarities and differences of traditional and lean manufacturing methods. 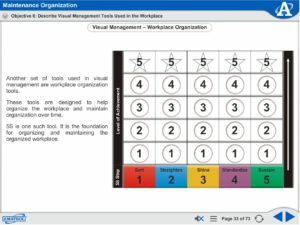 Learners study the benefits of workplace organization and visual management tools for the workplace. This segment covers the steps of the 5S program: sort, straighten, shine, standardize, sustain.